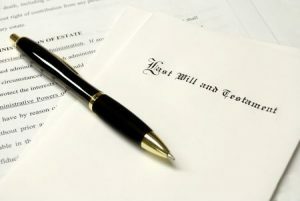 It’s hard to believe that in 2019 people are still trying to forge legal Wills, but a remarkable case in the UK has reinforced the need to have your Will drafted – and stored – by a qualified legal professional. The criminal law case, out of Gloucestershire, involves a married couple who sought to exclude their relatives from their late mother’s estate by writing a new will and then simply photocopying the deceased woman’s signature on to it. If true, it’s an amateurish attempt to deceive the courts, but it goes to show that some people will try anything to get your money, which makes it all the more important to take prudent steps to secure your estate in the meantime. A lot goes in to making a good Will, and the benefit of having an ongoing relationship with a lawyer is that, like a GP, they get to know you and your personal circumstances. Now forging a Will might be one thing but getting it past the Supreme Court in an application for a grant of probate is an entirely different matter. Sudden changes to long standing instructions, like giving all the money to a friend instead of the children will set off alarm bells. If you’ve got a good lawyer who can testify to your previous wishes, the chances of beating an attack on your estate are pretty good. Assuming the assets are still there. There’s also a chance that someone might appear out of the woodwork with an “informal will”, such as a letter or voice message on a phone that the courts might accept as an addition or correction (called a codicil) to the original will. Again, a good lawyer will help you anticipate these occurrences by delving deep into your life and establishing mechanisms within your estate plan to combat these claims against your estate. It’s for these reasons that Welden & Coluccio Lawyers recommend revisiting your estate plan and will every three to five years, to ensure your Will is up-to-date and represents your most recent wishes.